When you have sewage backup in your home you need fast, reliable and professional septic pumping and sewer maintenance services! We have superior septic tank pumping equipment and offer 24/7 emergency septic and emergency sewer service to handle your tough septic tank cleaning requirements, drain field damages or a broken sewer pipe. 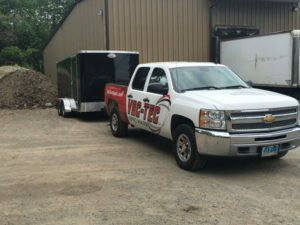 Call us for a free estimate for septic pumping. We can also provide a thorough septic inspection, and check for cracked pipes, condition of the tees or baffles, and other related parts of the system. Septic tank cleaning plays a key role in septic maintenance and overall health of septic systems. Failure or neglect of regularly scheduled septic tank pumping can lead to future costly repairs, or even the cost of a new installation. And while there is no absolute schedule for septic tank pumping, we recommend septic pumping every three to five year depending on the tank size, usage volume and type of tank. If you have not had your system cleaned, call us for septic pumping and cleaning to extend the life and proper function of your system. 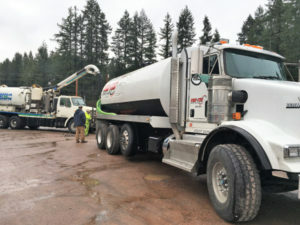 Why Should Woodinville Residents Choose Us for Septic Pumping? 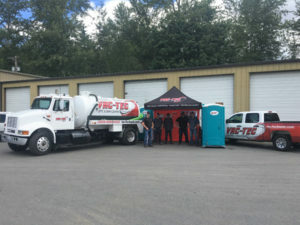 Our technicians are professionally trained in all of our company services including septic tank pumping, drain field maintenance and repair, septic tank cleaning, drain cleaning and pipe video inspections. And whether you septic tank problems require routine maintenance or emergency service, we are available for 24-hour service and emergency work.